For over 50 years we have been installing custom blinds in homes and offices throughout St. Louis. Whether you’re looking to enhance your energy efficiency or add to the beauty of your home, nothing beats blinds & shades that are custom–built for your space. 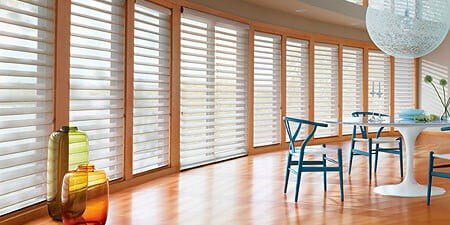 We feature real and faux wood blinds, plus verticals for applications such as sliding glass doors.